Entertainment TV Channel / The Epsilon TV is a Greek TV station nationwide, with headquarters in Maroussi. 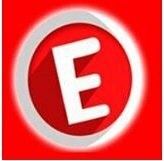 It belongs to the Broadcasting SA which was sold by the Greek Communist Party in the Cyprus offshore company and A-Orizon Media Limited under contract came on July 31, 2013 and replaced the channel 902. The operation began on September 11, 2013 at 00:10 with the entertainment show Entertainment Gossip News and presenter Maria Louisa Vouros.